Oh I love easy. Remember those super easy and gloriously delicious rounds of molten brie I made for a BBQ with friends recently? They weren’t the only easy dish I took along. 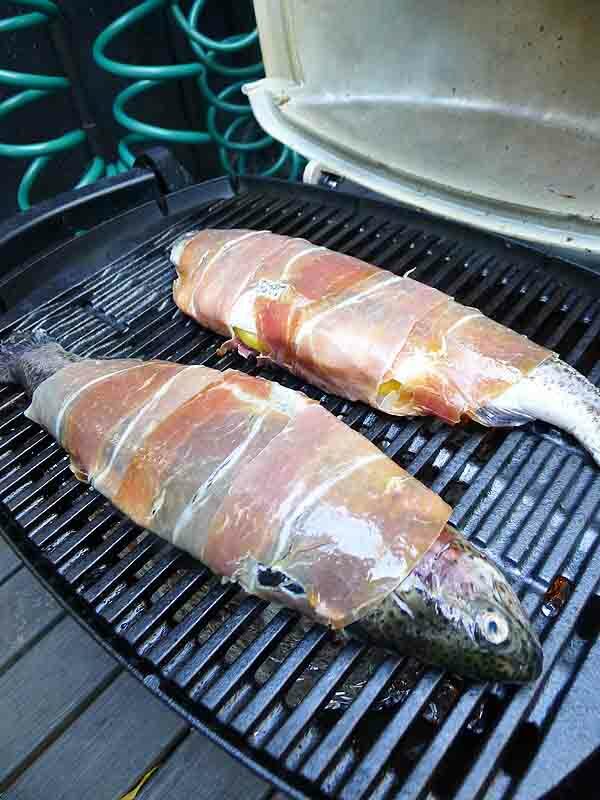 I also took two lovely whole rainbow trouts along to throw on the barbie, who needs ‘shrimp’. Again a very easy dish to prepare and perfect to take along to a BBQ, be it at somebody’s home or an outdoor affair by the beach or in the park. The lemon placed inside the fish, along with being wrapped in prosciutto means you end up with some very moist and flavoursome fish. Cut one of the lemons in half and then slice. Inside the cavity of each trout, place slices of lemon and sage leaves. Season with salt and pepper. Lay three slices of prosciutto side by side, slightly over lapping. 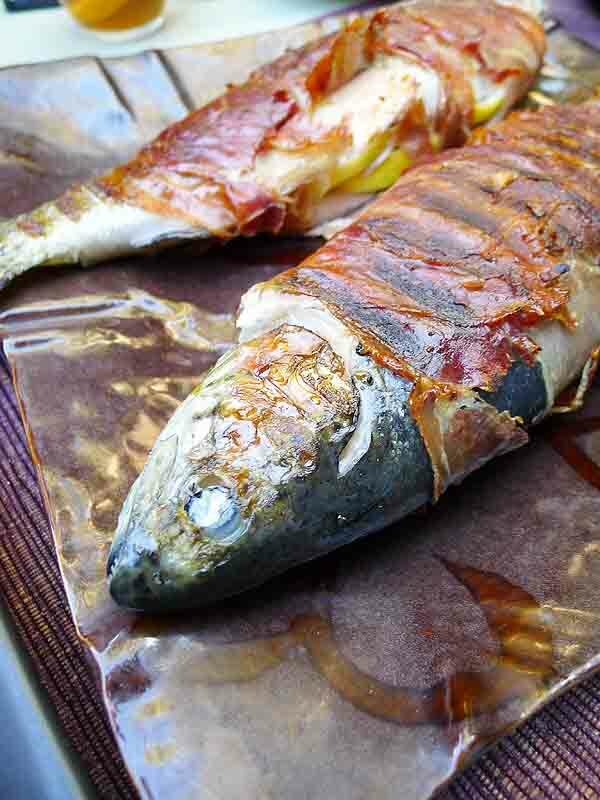 Place trout on top and wrap snugly around the fish. Drizzle trout with olive oil and massage in to the fish, all over, both sides. On a BBQ of medium heat, place the trout. Cook until prosciutto has started to go a little crisp, then turn the trout over. Place on a large plate to serve with the other lemon that has been cut in to wedges. Do tell dear Belly Rumbles’ reader do you prefer prawns or fish on the BBQ? I love the simplicity of Rainbow trout. I usually just oven bake them with some herbs or pan fry. This looks so much more tasty but still so easy! I was so in love with these when you knocked them up so quickly. The perfect lunch idea! Now this would definitely be a crowd pleaser! Looks fab! I’ll go with prawns AND fish 🙂 Your trout looks amazing! this looks amazing, cant wait for spring/summer to bring BBQ back out!